How Often Should You Replace The Blades And Foils Of An Electric Shaver? You likely remember that first shave with a brand new electric razor: the smoothness, comfort and closeness provided by the sharp cutters were incredible. But it’s all downhill from there as the blades and foils will begin to wear and will eventually need to be replaced with new ones. The good part? This is a very gradual process and there are also a few things you can do to prolong the life of the cutting block. There’s a lot of confusion and misinformation surrounding this topic, so in this post we’ll cover everything related to changing the blades and foils, when you should do it and how to get the most out of them. A sharp edge that constantly executes a cutting operation will eventually become dull. Unlike a chef’s knife, you can’t just sharpen the blades of an electric shaver due to physical limitations and the precision needed for this operation. As a result, your only option is to replace the blades with new ones. Apart from the blades becoming dull, there’s another aspect that’s specific to electric shavers: the wear and stress induced to the metal. The shaving head of an electric shaver is made out of parts that are machined with great precision and low tolerances. This is needed in order to provide a very close shave. The oscillating inner blades of a foil shaver will actually touch the foils, especially when pressed against the skin. 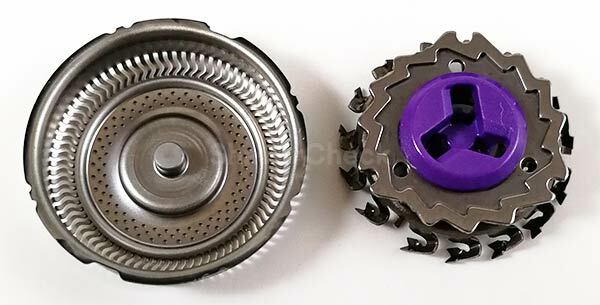 The same goes for the cutters of a rotary shaver that rotate inside a metal guard/comb. The friction will generate heat and will induce stress to the metal, causing it to warp and deform. I’ve seen blades that have eaten through the foils. You can imagine how dangerous this is and how it can easily cause serious injuries. Remington MS2-390 foil wear. Don’t let it get to this stage. 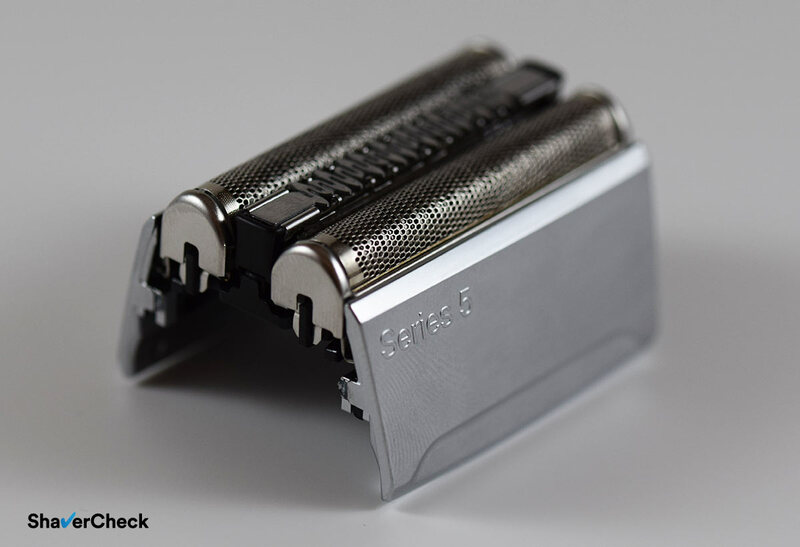 When the blades become dull and the foils start to wear the performance of the shaver will suffer. When should you replace the blades and foils of an electric shaver? As a result, you may need to replace the foils and blades after a few months or after a couple of years. For example, Braun recommends changing the shaving head called a cassette (which encompasses both the blades and the foils) every 18 months. Depending on the factors outlined above, you may need to buy a new cassette after one year or even sooner. Or you can even get past the 18 months if you’re lucky. The 52s cassette used by the Series 5 line of shavers from Braun. So how do you know when it’s time to buy new parts? The closeness of the shave starts to suffer. 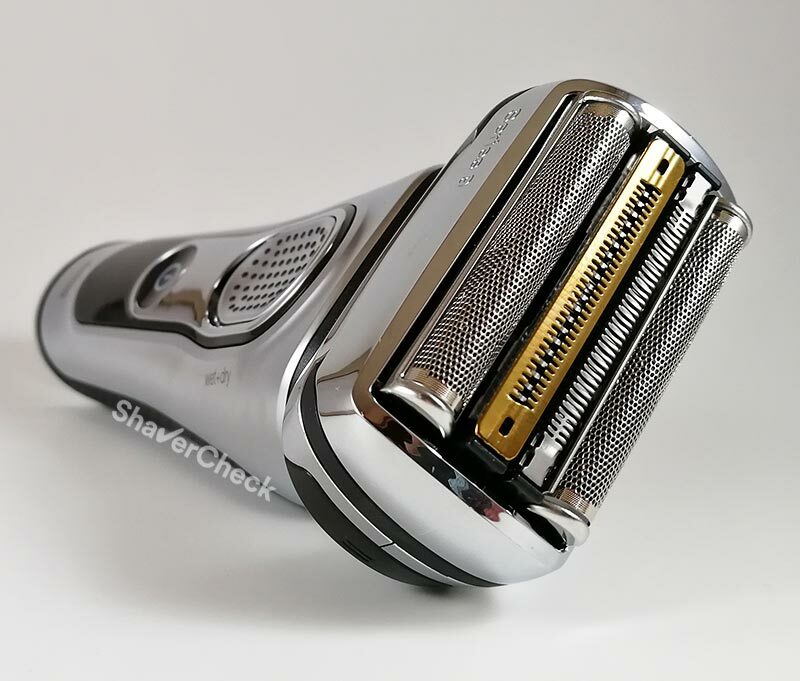 If you find yourself constantly going over the same area repeatedly and pressing harder in order to get a close shave, it probably has something to do with the blades becoming dull. You begin to experience some pulling and tugging. 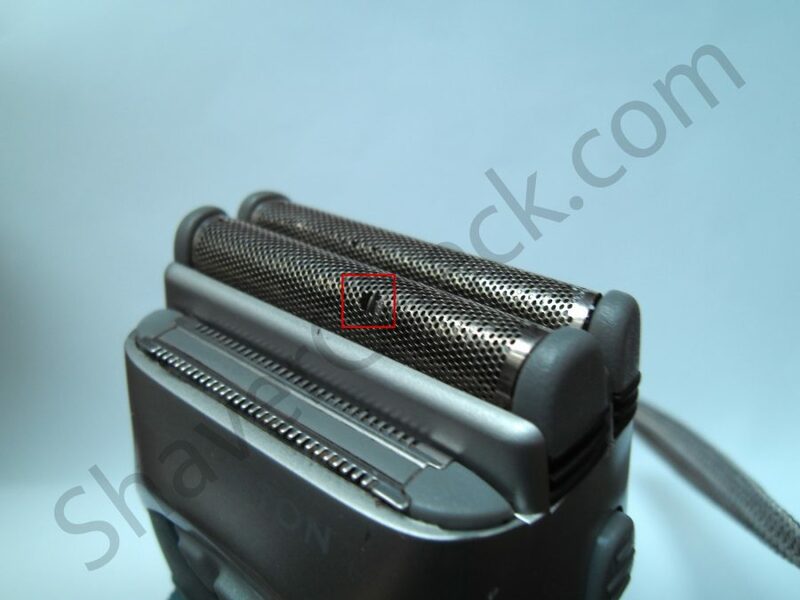 If the shaver starts to yank the hairs this is usually caused by the wear of the cutting block. The shaving head gets excessively hot. This is a sign of advanced wear of the foils and blades, caused by the increased friction between the deformed metal parts. The comfort of the shave suffers. This happens because you’re forced to use more strokes, apply more pressure, while the shaving head of your razor can get increasingly hot. Completing your shave will also take longer and cause the shaving head to become even hotter. If you notice at least one of the signs above and nothing else in your shaving routine has changed, it’s probably time to buy new parts for your shaver. Even though some manufacturers like Panasonic offer the possibility to buy just the blades or the foils, I highly recommend changing them both every time. Panasonic foils and blades. Unlike Braun, Panasonic also offers them separately. If for example you only change the inner blades as upon a visual inspection, the foil seems to be in good shape, it has most likely suffered from wear and deformation, even though it’s not that obvious. 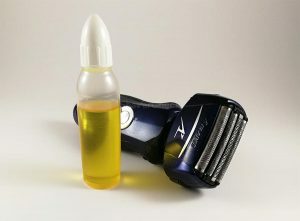 As a result, the new blades won’t fit perfectly inside and as you begin using the shaver they will wear a lot faster and the shaver won’t perform at its best from the get-go. I guess you could buy just the blades or the foils in the case of an accident for example when only one of the parts was damaged and the other is still practically new. Other than that, do yourself a favor and change both of them. I will assume that you’re not looking forward to spending money on new replacement parts very often. I know I’m not. Luckily, there are a few easy to implement steps that will help you save money and also improve the quality of your shave. This is by far the most important and often overlooked operation you can do in order to prolong the life of the cutters and foils. Regardless if you’re using a spray or a light oil, lubrication will minimize the friction between the moving metal parts. This reduces wear and generates less heat. A properly lubricated shaver will perform better and the blades and foils will last longer before needing to be replaced. Here’s my detailed guide on how and when to do it. 2. Clean your shaver thoroughly. Hairs, dead skin, dirt buildup, and other nasty things will have a negative impact on the performance of your shaver. It’s highly recommended to clean your shaver after every use according to the manufacturer’s instructions. 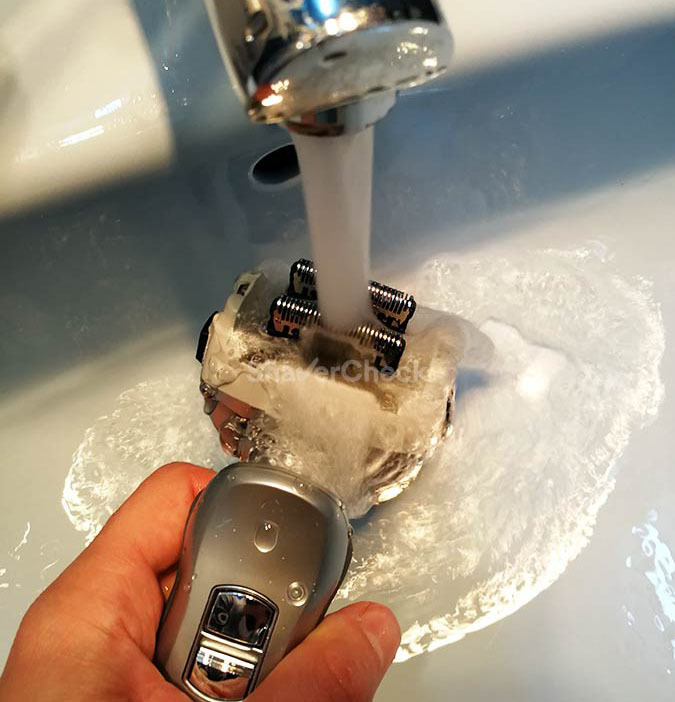 Most of today’s shavers can be easily cleaned with liquid soap and hot water. If yours also includes a cleaning station that’s even better as it will take care of the lubrication as well. 3. Handle your shaver with care. The cutting parts, particularly the foils, can be easily damaged by mechanical shocks. Avoid anything that could damage them like tapping too hard on the countertop or using hard objects to clean them. For example, you can’t use the included cleaning brush directly on the foils — that’s how sensitive they are. Also, always use the protective cap or a hard case when traveling. 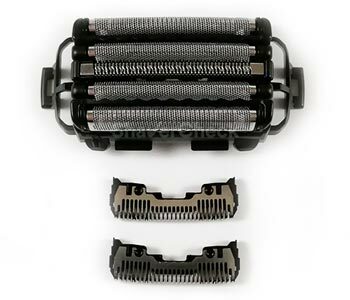 Buying new parts is no fun, but regularly changing the blades and foils of your electric shaver is a necessity. Hopefully after reading this post you’ll have a better understanding of the importance of this operation, when to do it and how to keep the foils and blades in top shape for a longer time. Home » Articles & Guides » Tips » How Often Should You Replace The Blades And Foils Of An Electric Shaver? I have just purchased a Panasonic ES-LV65 shaver which currently sells at half of the price of ES-L6N. I believe it is still the top of Panny Arc 5 line, pretty much identical besides a few minor improvements such as a different lock/power button etc. And the top of the shaving head/outer foil area has undergone a bit of a change (in their newer models such as ES-L6N) by incorporating those two golden elements. However, I suspect at least the replacement blades are identical in both mentioned models. Are also the outer foil parts identical? You are absolutely correct. 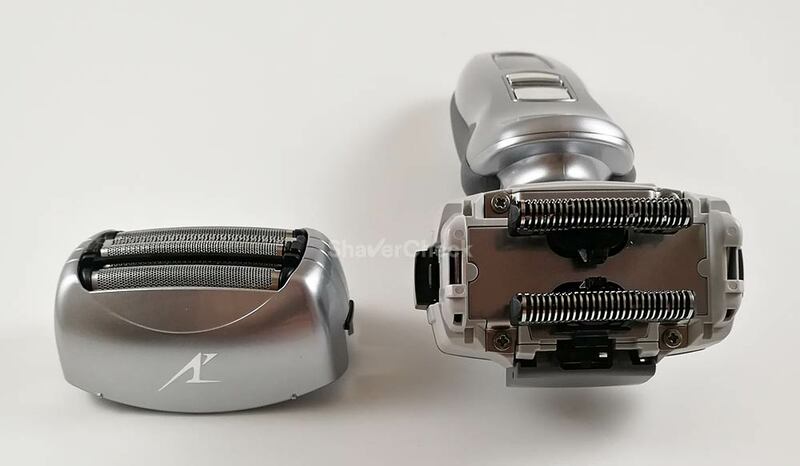 The outer foil and inner blades of the newer ES-LV6N/ES-LV9N will fit the older Arc 5 shavers. Also, the older foils and blades (like the ones on the ES-LV65) can be used on the newer ES-LV6N/ES-LV9N. And I totally agree, the ES-LV65-S is a fantastic shaver for the (current) price. Your explanation is spot on, that’s actually how the matching pairs work in the case of rotary shaving heads. If you mix them up the performance of the cutters will likely suffer and it may or may not fully recover after a couple of weeks of use. It’s best not to get there in the first place and take extra care not to mix the cutters and guards. Ovidiu, have you seen the DIY sharpening solution for using toothpaste? I have the ES-LV95-S and purchased replacement blades because I’m starting to get ingrown hairs and don’t understand why. I’d really like to not purchase the foil replacement without knowing first if that’s the problem. This is a really great and helpful post by the way. Hard to find this info online. Thank you for your comment. I’ve seen a few videos on this topic, but it’s not a viable solution in my opinion. It might work a bit better with rotary razors, but again it can’t solve the problem and you’ll still need to eventually replace the parts. And that’s because the dulling of the blades is just one part of the problem and even if you somehow manage to sharpen them, there’s still another issue. The friction between the blades and the foils will scrape off tiny bits of metal from them and as you continue to use your shaver the gap between the foils/combs and the blades will just get larger and larger, the metal will warp and the friction will generate more heat. This will have a negative impact on the closeness of the shave and the razor will start to pull the hairs and cause discomfort. I couldn’t tell you precisely if this is the cause of your problem; with my Panasonic shavers I first notice a performance drop (the closeness is not so good anymore) and the foils get really hot. I don’t get ingrown hairs, but I do get some nasty razor burn. Before buying new blades and foils, try using a spray lubricant and cleaner. They’re very cheap and in my experience they work great — assuming your blades aren’t completely worn out. I use Remington Shaver Saver and it makes a world of difference. Plus, it’s still a good idea to have it around for your next set of blades. Changing both the foil and blades would be highly recommended because you may not get the best out of a new set of blades and they may also wear out faster if the foil is warped. I have had a Braun 340s-4 wet/dry shaver for about 2 years, since I bought the shaver I have always followed a good cleaning and lubrication process after each shave or every 2-3 shaves when I feel a bit lazy to clean it after I finish shaving, but no more than that I can’t leave my shaver without proper cleaning and lubrication state and this has paid off; still it has the original foil/cutter and it shaves as good as new; I prefer dry shaving although I wet shave once a week but then after using gel or foam for the wet shave I rinse-clean the shaver, let it air-dry and then put some light sewing machine oil in the cutter/foil and in the trimmer as well; this process has made the shaver work on its pick conditions and foil/cutter last till now that makes me feel happy about this wonderful and very efficient shaver; in the past I had other shavers, foil and rotary brands like PHILIPS, SANYO, REMINGTON and BRAUN; having the same cleaning work on them, some lasted me 9 years with just 2 changes of foil/cutter (BRAUN foil dry shaver, REMINGTON foil dry shaver and SANYO foil wet/dry, and two very good rotary shavers PHILIPS and REMINGTON both dry rotary shavers. the cleaning and lubrication have a very important part in the life, efficiency and performance of the shaver; keeping this process will give the shaver very long lasting life of good service and will save you money along the way; also the draining of the batteries and full charging the batteries again every 2 to 3 months will keep the recharging batteries running for longer. Thank you for the detailed post. Those are some excellent tips and the longevity of your shavers is the ultimate proof that cleaning and lubrication are vital. I have a Braun series 5 wet/dry that uses the 52S foil and cutter. This is my 3rd Braun (7000 and 8000 previously). 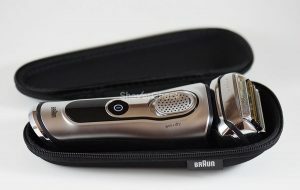 The Braun made shaving comfortable after years of hell from the straight edge razors. I use the clean and renew system religiously 3x per week. On the 7000 and 8000 I was lucky to get 10 months from the foil and cutter. I use shaving cream with my Series 5 wet/dry shaver. The last two foil and cutters lasted 6 months. Now the most current one is just over 3 months old and I have a serious case of ingrown hairs and suspect a dull cutter. I have a very thick head of hair that is course and my facial hair is the same, though I have never had a beard. At this point I have to sop shaving until the ingrown hairs heal. Enjoyable post. I buy/sell shavers on eBay, but for my own collection I’ve purchased new and used Remington XLRs…which I found to be the best-shaving. They lasted so long and were so durable, Remington found just selling foils and cutters didn’t make them much money, so they developed other shavers. But these high-speed 60hz shavers are ideal. They are getting harder to find. I found your tip about the talcum pre-shave helpful…I use that at the gym where it is humid and didn’t realize it could accelerate cutter wear. It makes sense as it has, I believe, a metal-based element and the friction of pushing that with the cutter could definitely put wear on the cutters. After each shave, I clean the inside/outside foil with a Q-Tip dipped in alcohol as well as the top of the cutter blades. Then I Shaver Saver it, or sometimes put a clipper fluid on the inside foil. As I tell buyers, the friction from the cutter and foil touching is like the friction a car engine gets, and why an engine needs oil too. Thanks for your good information. By the way, I’m a senior citizen and old-fashioned…I’ve phased out my battery shavers and now only use pure electric…I got tired of waiting for shavers to charge, having them die out, and then either discarding the shaver or paying for expensive batteries. These new old stock XLRs, DA, and DF Remingtons will last years. Thanks again. You’re helping many people. Bob, thank you so much for your thoughtful and detailed comment, I truly appreciate it. I’ve heard about the reliability of the old XLRs, haven’t got the chance unfortunately to own and use one. Absolutely, removing as much hair as possible from the shaving head helps with saving cleaning fluid. Since I discovered cheap third-party cleaning solutions for my Braun shavers, I’m not so thorough with cleaning the cassette — I simply tap it on the sink to get most of the hairs out and then let the station do the rest.